SUVA, Fiji – A Canadian mining company that spent more than $100million [US$46 million] over the past nine years searching for gold deposits in the hills of Sabeto has been granted a mining lease. Tuvatu Gold Mine project manager Steven Mann said the projected revenue from the Tuvatu Gold Mine was more than $900million [US$414 million]. “We have a workforce in excess of 200 local workers, not including associated project contractors and service providers,” he said. Lion One Metals Ltd founder and chairman Walter Berukoff said he was excited about the future of the goldmine. “I came here in 2007 when my private company acquired the assets of the Emperor Gold Mine in Vatukoula and after the course of 18 months, I could see that Tuvatu was the real jewel of the crown,” he said. 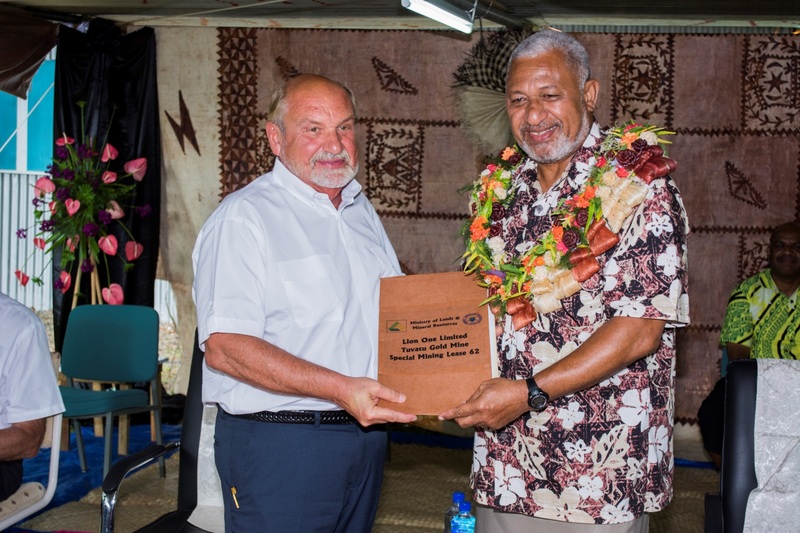 While handing over the licence, Prime Minister Voreqe Bainimarama said the new goldmine would contribute to the growth of the mining sector and the country’s economy. “The Fiji Mining and Quarrying sector has accounted for about 1.2 per cent of GDP since 2011,” he said. Even with the decline of production in 2012 and 2013 and low prices because of low metal prices, gold exports have remained strong since 2013 at around $101.1million a year.